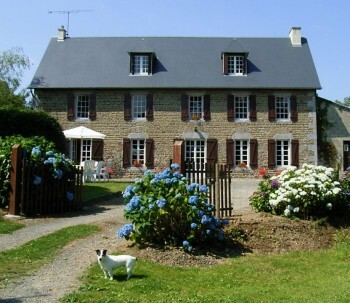 We are very happy to welcome one or two well behaved dogs at our beautiful Normandy farmhouses, Le Mesnil Gonfroy and La Germainiere (please do check with us first). It couldn’t be easier to take your dog with you if you are travelling from the UK to France. 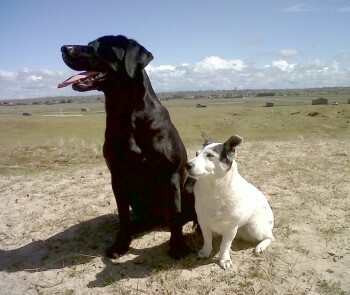 A pet passport is required – see the DEFRA website for full details. Once you have your Pet Passport, you can book your dogs onto your ticket with Brittany Ferries or one of the other ferry companies or with Eurotunnel. Your dog stays in the car when crossing the Channel. You don’t have to visit the vet before you leave, only the French vet between 24 hours and five days before the return crossing, for a tapeworm injection and to sign the passport. The Ferry Company will check this entry and the dog’s chip at the port when you return. It couldn’t be easier! There are two vets in the local towns who we recommend – details are written in the information books found in our farmhouses.